Be prepared and sign up for Panhandle Alert! Panhandle Alert is the official emergency notification system used to communicate with community residents during emergencies. 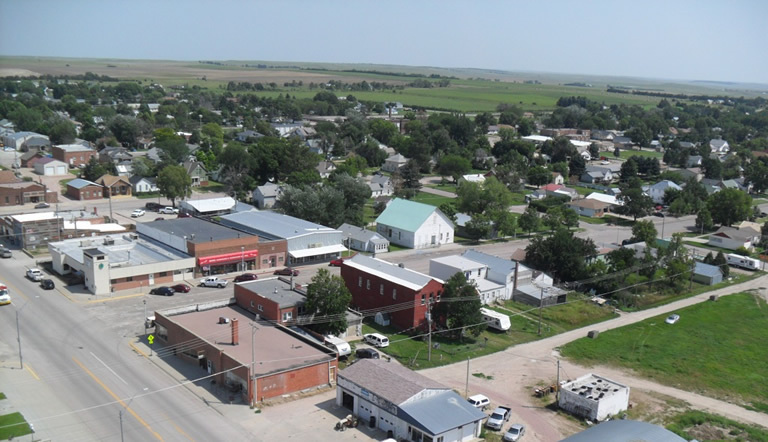 Rushville, the county seat of Sheridan County, is located in the northwestern section of Nebraska, 90 miles east of the Wyoming border and 25 miles from the South Dakota state line. U.S. Highway 20 and Nebraska Highway 87 intersect one mile west of Rushville. Nebraska Highway 250 runs south of Rushville to connect with Nebraska Highway 2. Rushville is 312 miles northeast of Denver, Colo.; 450 miles northwest of Omaha, Neb. ; and 130 miles southeast of Rapid City, S.D. Visiting our area? Check http://www.visitsheridancounty.com/ for more highlights and treasures to explore. The City of Rushville is a proud member of the Highway 20 Association.